Rachael Slough: New Blog Design... 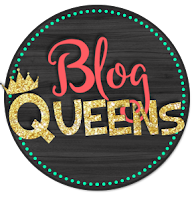 Thank you Blog Queens! After two hours of playing around on GoDaddy to not only get this new URL to work, but to get ramblingsofaspecialmom.com forwarded over here, I'm FINALLY back up and running! That was SO stressful! Getting the new blog design was super easy though. Blog Queens did a wonderful job. They were fast, friendly, and cost effective. Loved working with them!